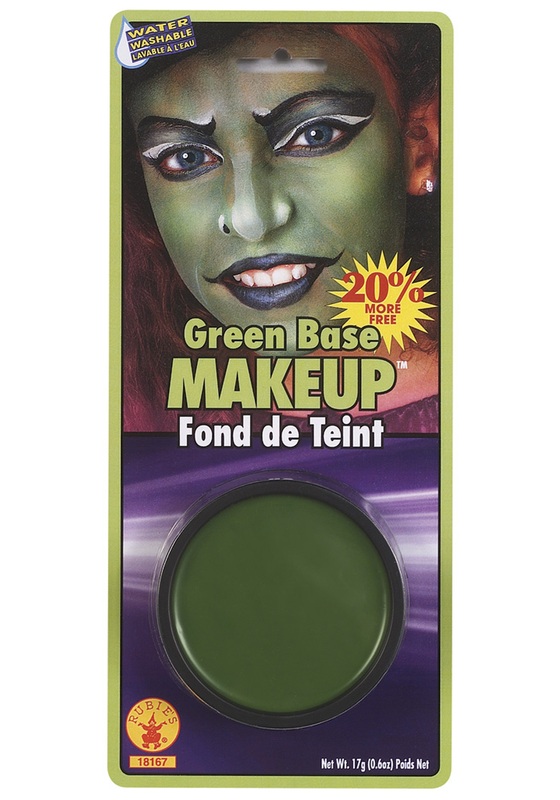 So you want to be a wicked witch for Halloween. You bought a fancy witch’s dress, the kind with spidery lace covering the skirt. You bought the pointed hat, and the curled toed shoes. You even made your very own flying broom. Heck you even found a pair of stripped stockings in your dresser. But you are still missing one part of being a witch. Worse makeup ever. Not easy to apply and doesn’t dry so as soon as you touch it, it’s on your fingers or clothing. The only complaint I have is that it doesn't apply well. The color was fine, but the product clumped and didn't adhere smoothly. It was extremely sticky and would just stick to itself and not smooth onto the face. It was extremely patchy. Works well with a makeup sponge! I was able to cover my top half of my body with one package. The makeup came off easily in the shower. This makeup was difficult to get it consistently distributed on my daughter's face. It was almost liquid upon application and would smear off upon trying to get it darker.